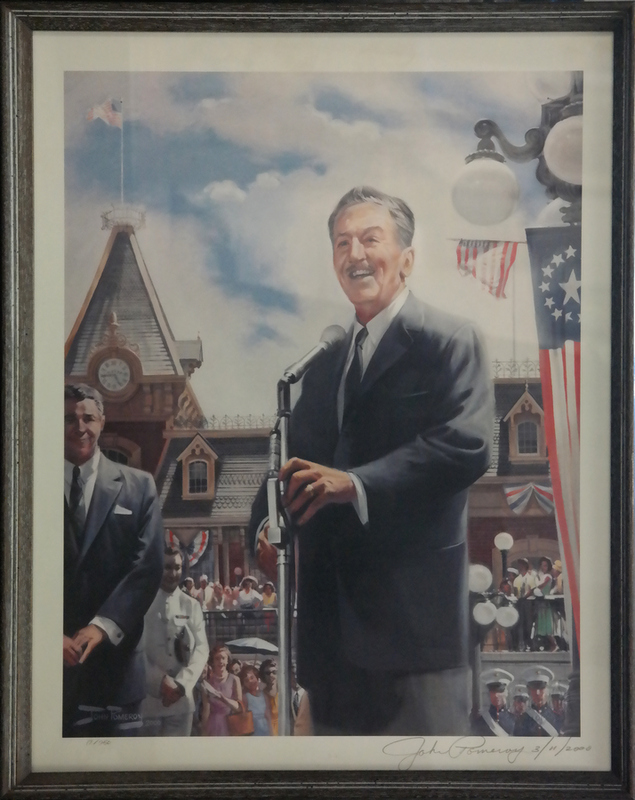 This is a lithographic print on paper of Walt Disney standing in front of Disneyland on Main Street. The imagery was created by legendary animator, John Pomeroy in 2000, and this print is signed by John Pomeroy in the lower margin. The print measures 21.5" x 17.5" framed with the image measuring 17.5" x 14".